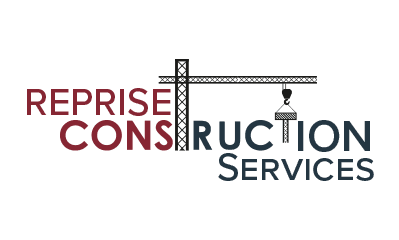 Reprise Construction Services goes all the way back to early 1985 when Ben Bryan and Wes Hux were approached by John Crosland Homes when Crosland was just entering the Triangle single family housing market. Ben had been raised farming, and Wes was raised working in his family’s building company. When the two met in college at North Carolina State, they became great friends, and eventually went into business together in construction while working on their degrees. They were great at their craft and became widely known for their expertise in residential building. They were also lucky. Wes met a John Crosland Homes associate through 84 Lumber, and a few days later Ben and Wes and their crew were chosen to join the Crosland team to help get several Triangle developments off the ground. In 1987 Ben and Wes moved to Lake Norman. After a few months of lake living, they moved closer to Statesville, all the while getting to know many of the great people of Iredell County. It did not take long for the cream to rise to the top, and soon they were up to their ears in work. They were really quite lucky. Ben’s wife joined him in Troutman in 1987. But alas, Wes’s love stayed behind. So it was no surprise that the second most gifted carpenter and teacher that ever walked the face of the earth (Ben is #3) soon left to be with his lifelong love. They are happily married to this day as are Ben and his wife. Ben’s love of building and teaching others to build led him to grow his residential new home and remodeling business quite rapidly focusing on quality and craftsmanship. The company was fortunate to have so many great people in and around it. And the customers were always great as well. It was a lot of work, but the company's luck never ran out. So it is no surprise that super great things were accomplished both personally and professionally. And when that happens, the dreams get bigger. "I broke into commercial construction in 1998, or rather fell into it due to the kind words and recommendations of others. I thought it was a good opportunity for my employees to have better incomes. And it was. They deserved it. My crew and pretty much all my subcontractors followed me into commercial work. We traveled for many years, from North and South Carolina, through Tennessee, Virginia, Maryland and into New Jersey. I learned through those traveling years, it's not the land that makes a place. It’s the people. Through the generosity of my family, my crew, and the really great friends and clients that I had, even as a commercial general contractor, I was able to mix in some award winning and regionally recognized residential projects in Historic Beaufort NC, Historic Downtown New Bern NC, The Oakwood Historic District in Downtown Raleigh NC, The Boylan Heights Historic District in Downtown Raleigh NC, and The West End Historic District in Downtown Winston-Salem, NC. Everyone knows you never forget your first love, right? The past few years have been a whirlwind, and with it a lot of changes, that have led me back into the residential market full time. I feel like there’s nothing that I’ve wanted to do in life, that I have not been able to do. So I thought I’d just do it again, like a “reprise” to a great song or performance. Nothing beats the experience I get when people get to enjoy the results of my craft. To see a family in a home I built for them, living an abundant life, or to know the bedroom you are remodeling will be a daughter's or son's for one-third of their lives or more brings focus and purpose and blessing. The relationships that follow are tremendously rewarding. I've been doing this for over 30 years. That's a lot of families. And I think about them every day. I have a wealth of knowledge now and still have a great crew, some having been with me for 15+ and 25+ years. So really we’re a family that works for families. Did I mention I was lucky?"